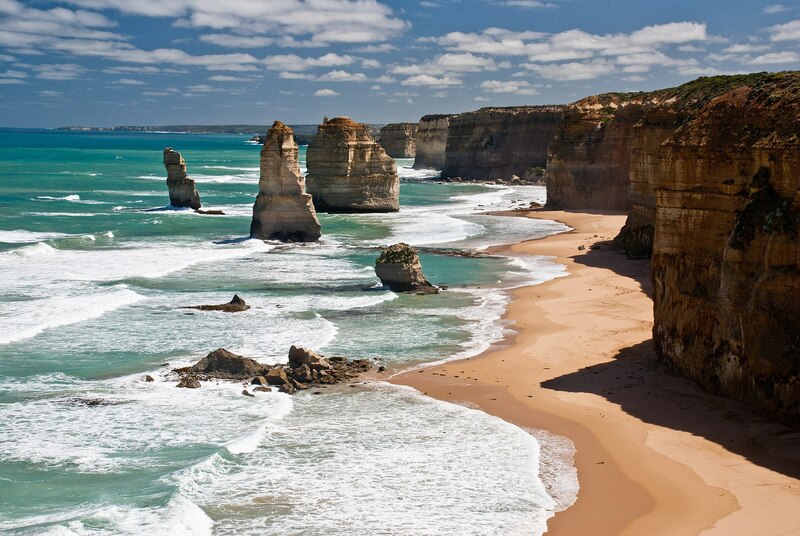 Tourists come from all over the world to view the magnificent 12 Apostles rock formation. 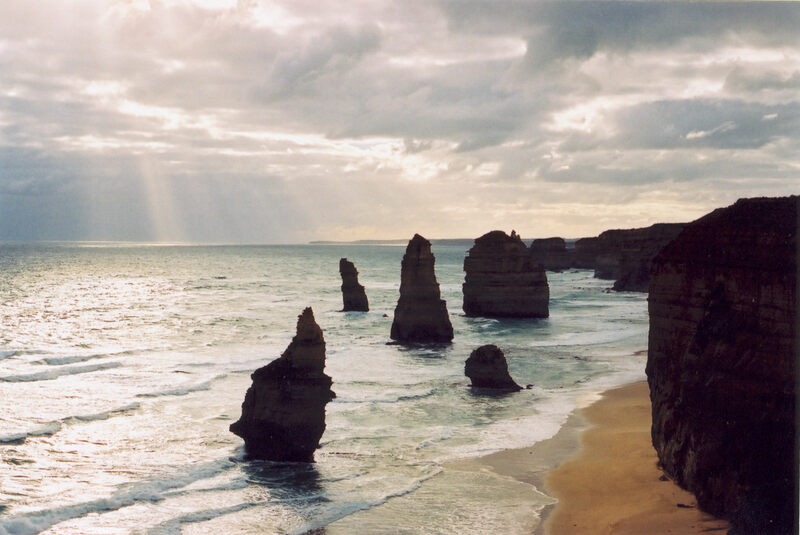 Surrounded by white sand beach and framed with a beautiful ocean backdrop, the 12 Apostles is a picturesque scene. 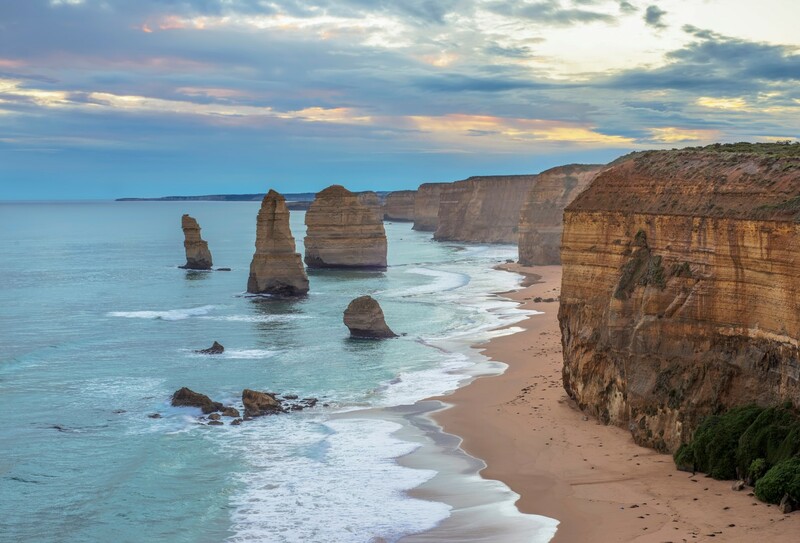 Formed by erosion, these towering limestone stacks are located off the shore of the Port Campbell National Park in Victoria, Australia. Though the stacks are called the 12 Apostles, there are only eight of them, and there were never more than nine. Visitors can enjoy the site from viewing areas off the road, or from the air in one of the helicopter tours given by the visitor center. 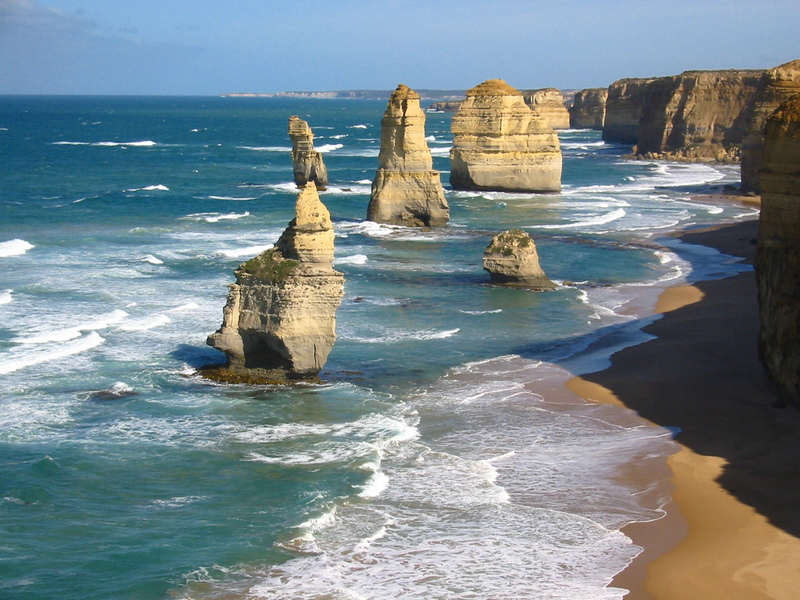 Port Campbell National Park is located 3 hours and 250 km (155 miles) from Melbourne via the Princes Highway, or 5 hours via the scenic Great Ocean Road.